Subscribe to the YourCustomCar Monthly E-zine! Do yourself a favor and subscribe to the YourCustomCar Monthly E-zine! This way you can stay informed of the latest additions to the coolest custom car web site on the Net! You will receive website updates, new product releases, information on upcoming custom car and truck shows. 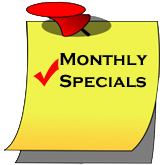 We will also tell you about the "specials of the month" for parts available in our online store! The sooner you subscribe to our E-zine, the sooner you can get your hands on the latest in custom car parts and accessories> we are offering, plus you can also receive lots of information regarding the newest features and additions to our website that will help you get that custom car or truck of your winning the next car show and impressing all of the people on the strip! You definitely do not want to miss out on our E-zine! I promise to use it only to send you YourCustomCar.com-Monthly.